How can you cope with holiday stress when you have cancer? Most of us without cancer get “stressed-out” with our "should-do," "would do," and "could do" thoughts. Add to that the demands of treatment and cancer fatigue and holidays can become overwhelming. What can you do to lower the stress factor, and enjoy this special time with family and friends? Sometimes the most important thing to check off on your holiday to-do list is an entry that says “do nothing.” It’s okay to have days in which you can’t think of a thing you accomplished. We usually demand much more from ourselves than others would expect. Give yourself a break. Be as kind to yourself as you would be to a loved one that was likewise living with cancer. Do you really need to prepare every ethnic dish your grandmother handed down? Hang those lights on the house? Do your loved ones really need all of those gifts? Simplicity can be freeing and can add richness to your celebration. Perhaps this would be a good year to swap names for gifts rather than buying for everyone. One family decided against giving each other gifts, and when the father completed his radiation treatment for cancer, they pooled their resources for a family vacation. 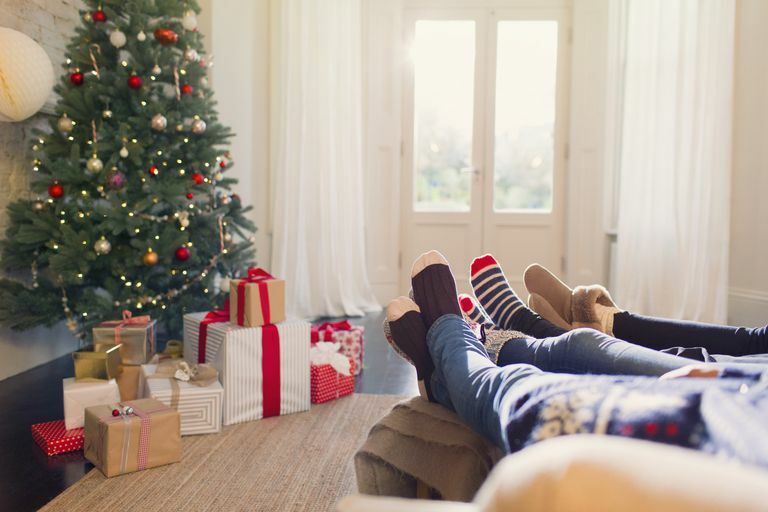 Brainstorm ways to simplify your holiday. Less can really be more. Even if you are giving yourself permission to do less and simplifying your life, there are still things that make the holidays special for you that you want to include. Try delegating those preparations and plans to someone else. Do you have a family member or friend that enjoys being a coordinator? Make a list of preparations you could use help with, and have your coordinator ask for volunteers. Most people want to help and feel needed, but many, myself included, appreciate direction on what we can do that would best help our loved one with cancer. Learn to say those simple words without feeling you have to explain yourself or feel guilty. Say yes to activities that you might have skipped in the past because you felt selfish indulging yourself. Say no to activities that are sitting on your mental “should-do” list, but don’t excite you or lift your spirits. Nothing adds stress to a family holiday like running out of needed medications or trying to find medical care far from home. Make sure to pack copies of your medical records and important phone numbers, and talk with your doctor about any special travel needs. Learn more about what you should know about traveling with cancer. Maintaining your regular routine of eating and sleeping can go a long way in eliminating stress through the holidays. For those going through treatment for cancer, this is even more important. We are just beginning to understand how our bodies natural rhythm (our circadian rhythm) plays a role in how people respond to cancer treatments such as chemotherapy. Don’t compromise your health for the sake of the season. Cancer is a heart-wrenching disease and always close at mind for those living with cancer. Give yourself permission to feel and express sadness and frustration. Your thoughts may travel to your days before cancer, and how your life has changed. If you have advanced stage cancer, you may wonder how many more holidays are left to enjoy with your family. These thoughts and feelings are real. Don’t try to hide what you are feeling to protect your loved ones. Don’t be afraid that you will ruin their holiday by sharing what you are feeling openly and honestly. When you express your negative feelings, your loved ones will most likely welcome your honesty. It may, in fact, be the greatest gift you can give, since your expression of sadness gives them the freedom to express theirs as well. Tears can be healing and release you to fully enjoy each other. Remember the reason for the season. Celebrating whichever holidays ignite a spark in your heart and spending time together with loved ones should be your focus. Nobody will remember if you didn’t have time to send cards, hang lights on the house, or forgot to pick up the pickled herring. Okay, they might, but what both you and your loved ones will remember most is simply being together. Another thing you could consider is starting a new tradition with your friends or family that can be enjoyed for many years to come. American Cancer Society. Emotional Side Effects. Du-Quiton, J. et al. Actigraphic assessment of daily sleep-eating pattern abnormalities reflects self-assessed depression and anxiety in outpatients with advanced non-small cell lung cancer. Psychooncology. 2009. Feb. 6. (Epub ahead of print). National Cancer Institute. Coping With Cancer. Supportive and Palliative Care.